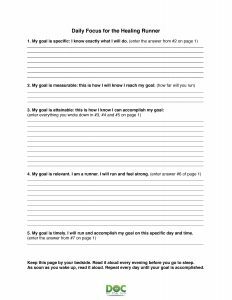 Before get started I just want to mention that we have created a free goal setting worksheet specifically for injured runners. Just go to the show notes pages for this episode and you can download it for free. A goal is not a fantasy. A goal is not a dream. It’s a place you clearly want to end up. If that goal is important to you, I believe you can get there. No matter how far-fetched, outlandish, or seemingly difficult to achieve, there is always a way to get there. Goal setting usually happens in January. Every New Year’s Eve and New Year’s Day millions of people sit down and contemplate their goals for the year. They think about what they would like to achieve. They set all kinds of goals for themselves, their families, their finances, and of course, their athletic goals as well. There is even an entire process of goal setting, known as SMART Goals. 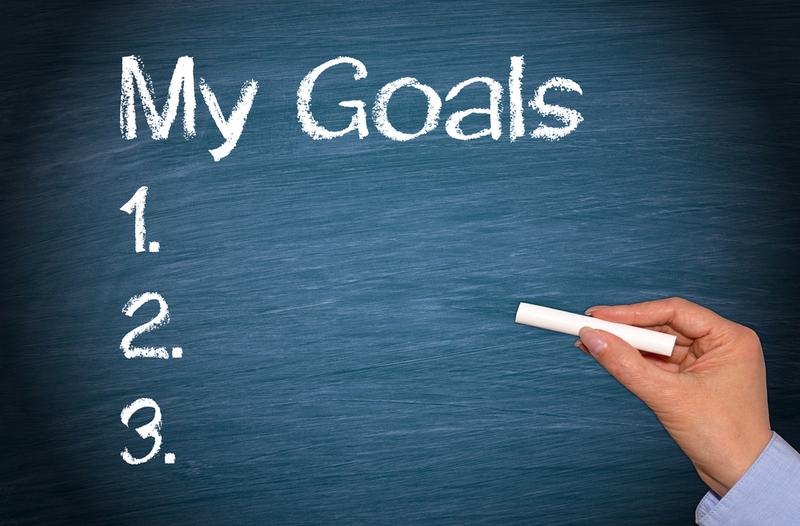 The idea is that all goals should be Specific, Measurable, Attainable, Relevant and Time-Oriented. Although I have used the SMART goals format a number of times in the past, I actually believe now that the “attainable” portion of this format can be detrimental. What is attainable? Is what you did last year attainable? Of course it is. You did it! Could you make twice as much money as last year? Maybe. But you would have to do something differently. Could you run 20 minutes faster in a marathon? Maybe. But you would have to change something in the way you train, the way you run or the way he race. Would it make you nervous to set either of these goals? Let’s face it, stretch goals make us nervous. Huge goals can paralyze us. So let’s just start with the agreement that to get different results, you will have to do something different. What if you spent much of last year injured. If you’ve had a chronic injury and you haven’t been able to get back to running is there any reason to believe you can keep doing what you’re doing and heal and get back to running? If you are a runner who has been injured over the past year, it is possible that your focus on your injury is actually keeping you injured. Did you picture a purple elephant? What is your foot hurts? What if your foot hurts when you run? Would it help you if I said I want you did not think about your foot hurting every time your run? The chances are good if you’ve been injured, you been thinking about your foot hurting for a very long time. Through the same patterns of neurolinguistic programming that are often used as tools to get people out of negative thought patterns, runners may sometimes get themselves locked into harmful thought patterns that will actually focus on the injury. If you reframe your thoughts about injury it might help you heal faster. One way to do that is to create specific goals around healing. That’s why I created the Healing Runner’s Goal Worksheet. You can download it for free. It’s on the show notes page for this episode at DocOnTheRun.com. Have you thought about your goals for this year? Did you write out your goals? If so, does it include anything about pain, about limitations, about being slow, about not wanting to be slow anymore? Does it include anything that reinforces the idea of you being injured? If so, you might have to think about that differently. But we’ll get to that part. Goals have been around for a very long time. In 1937 Napoleon Hill wrote “Think and Grow Rich.” His book was the result of more than 20 years of study during which Napoleon Hill interviewed some of the most successful people of his time. He was looking for traits that would guarantee success. Hill outlined a number of principles that contribute to one’s likelihood of success. Perhaps the two most important are the idea of the Mastermind Principle whereby two or more people work together toward a common goal. The second principle was that you have to know very clearly where you want to go. In short, you have to have a goal. Napoleon Hill actually recommends writing your goals and reading them out loud twice a day every day. The reason he recommends reading your goals out loud as soon as you wake up and immediately before you go to sleep is that your mind is at work all the time. He cites numerous examples of innovations that were developed while dreaming. About how so many great ideas come to people in their sleep. Hill also talks at great length about the power of the subconscious mind to produce results without any conscious thought. If you have become habituated to pain, feeling injured, feeling bummed out just because you’re not able to exercise then your unconscious mind may be helping to perpetuate your injury. If that’s the case then you need to change, or at least reframe that thought process. Hundreds of business books have talked about goals. Hundreds if not thousands of coaches have talked about the importance of goals, keeping that goal in the forefront of your mind, and believing in that goal. Olympic athletes use goal setting and visualization in their training. The first part of this exercise involves deciding upon a goal. 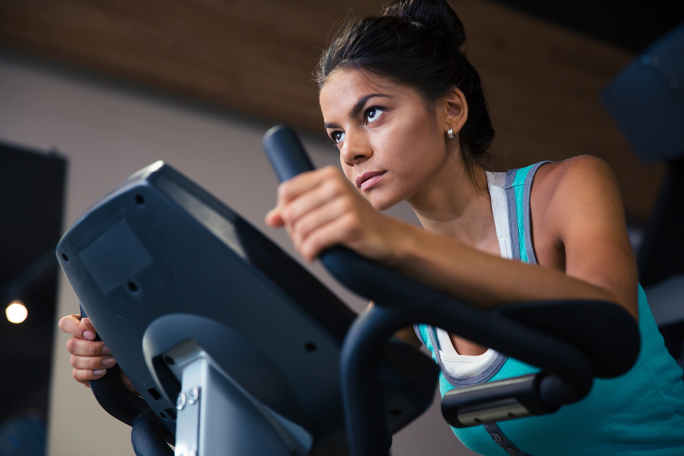 The second part of the exercise involves repeatedly seeing yourself taking the actions that are required for the accomplishment of that goal. In 1954 a British medical student became the first man ever to break the four minute mile barrier. Roger Bannister provides the best example of how believing in goals can change a sport. 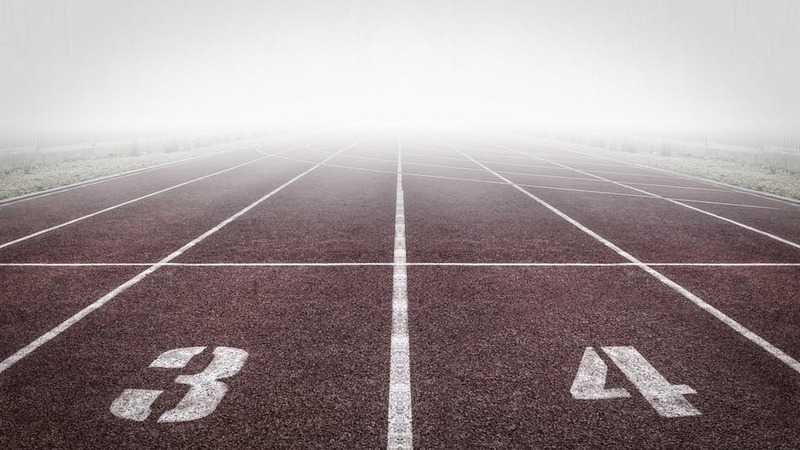 Prior to him running the first ever four minute mile, people had been running for thousands of years. No one had ever run a mile in less than four minutes. Bannister proved it was possible. And once other people saw it was possible, they started to believe it might be possible, too. In less than one year 37 other people ran one mile in less than four minutes. If your doctor tells you that you cannot run for a year, will that help you achieve your goals? I doubt it. At least not if your goal is to get back to running anytime soon. Some researchers have suggested that focusing on the disease makes the disease stronger. Much has been written about the idea of a negative focus on illness as contributing to the perpetuation of chronic illness, chronic pain and chronic disease. There’s also a school of thought in medicine that focusing on the healing process, focusing on your body’s ability to fight cancer and your body’s capacity to repair damaged tissue and remove diseased tissue can actually help mobilize the immune system. It’s all about keeping the focus on the goal. So what is your goal this year? Is your goal to run two thousand eighteen miles? 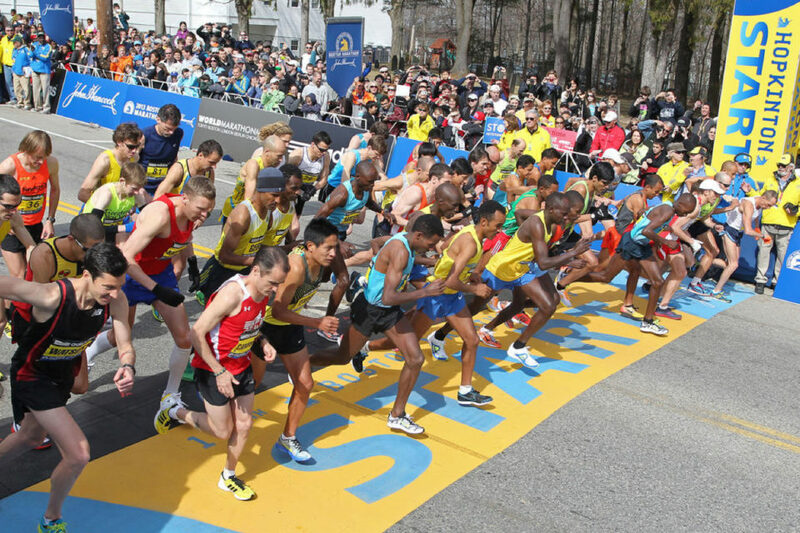 Is your goal to qualify for the Boston Marathon? Is your goal to run a 5K in under 30 minutes? Is your goal just to run without pain? If you’ve been injured in the past you may be dumbing down your goals just out of fear. If you’re injured now, you’ve probably forgotten about goals. You’re probably not even thinking about a goal that might be realistic for you, out of fear. Most of the time when we set goals that are too low, it’s because of fear. What would happen if you proceeded as if you could not fail? What would happen if you believe you can heal? Does it make you nervous even thinking about that idea? If you have been injured, it may seem impossible to write that down every morning? Does it seem far-fetched? Does it make you feel silly? If so, these are not new feelings. You are surely not the first one experiencing them. If your coach has ever been injured, she’ll be able to empathize with you. If your doctor is a runner, he will understand your need to get back to running. If you’ve been injured and you think you have the wrong diagnosis, you’re probably right. If you go see a doctor and they tell you won’t get better unless you wear a fracture walking boot for six weeks, and that advice just doesn’t seem to make sense to you, you should get a second opinion. My experience is that most patients are right. Most patients have a gut feeling about the diagnosis they have been given, whether it’s right or wrong. My experience is that most runners know more about their own bodies than the doctor examining them. 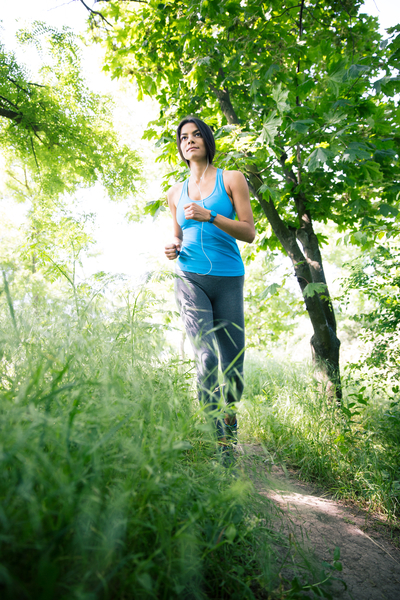 If you see a doctor who focuses on runners the advice may be relevant for you. But if the doctor you see just happens to be the one around the corner from you or the one recommended by your insurance company booklet, you need to ask yourself whether or not this person understands runners. Is your doctor runner? If not, the question is, should you be taking advice from her in the first place? I learned how to race motorcycles by listening to somebody who knew how to race motorcycles. Fred Provis knew more about how to go fast than any of the people at the motorcycle dealerships who seemed to want to offer advice to me. When it comes to running, I would never look to a swim coach for running advice. You have to choose your mentors carefully. This is true in sports, and it’s true in medicine. Choose your goals wisely. Be optimistic. Focus on the solution. Realize you have the power to heal. You can get back to running. Your goals should reflect that fact. Make a gratitude list every day. Focus on the positive by realizing what you can do that’s getting you stronger. Visualize yourself running. Feel the strength in your legs. Get your mind back to that place where you are the strongest. And watch what happens with your goals. Every runner has heard this quote. The running goals we set are always tied to a timeline. Race day. The finish line. A new personal record. They all start and finish at a certain time. If you want to heal and get back to running you can’t leave healing to “someday.” You need to be more specific about when you’re going to heal and how you’re going to do it. 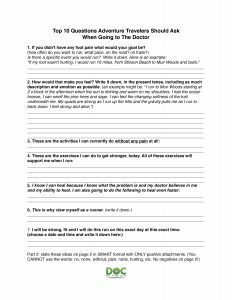 Go to the show notes page and download the Healing Runner’s Goal Worksheet. It will help you take what you know about goal setting in running and use what you already know to focus your healing. It’s free. Go get it now!